Saturday 24th November. *Please note, there will be no entry from 5.05pm. Please arrive early to avoid disappointment*. Price: £15 per person. WE ARE BACK!! 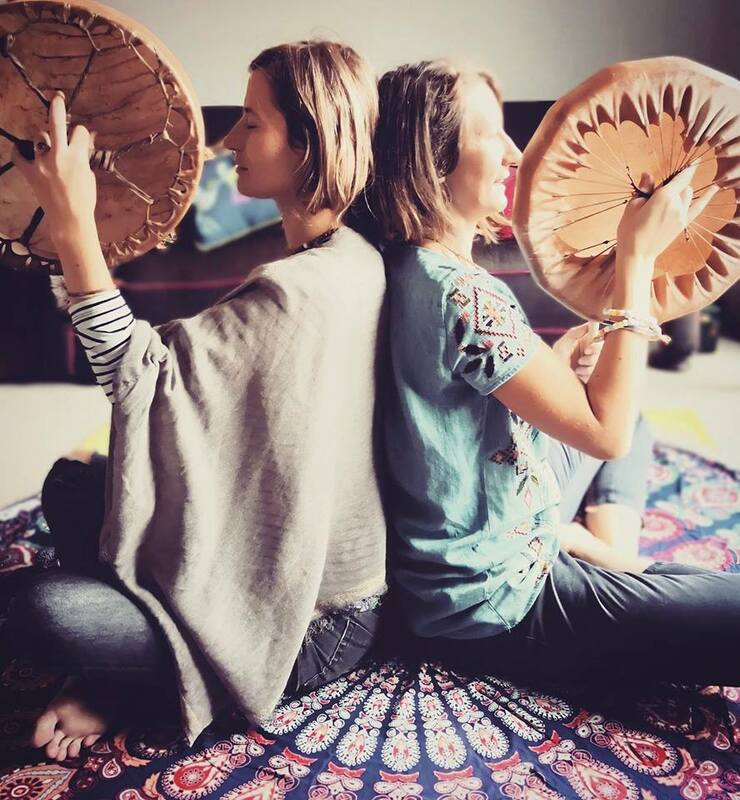 Fresh out of the Summers healing fields; Aya and Kimbers invite you to this incredible sacred sound bath infused with Reiki energy. We will be offering you this gorgeous space to drop into on a monthly basis in our new home. Come see us at the HOURS beautiful art gallery space. The Reiki Sound Temple is a mystic multi-dimensional experience that supports the natural processes of self healing and purifying on many levels. A blend of drumming, medicine songs and other vibrational delights create an intentional sound-scape which when combined with Reiki energy allow time and space to dissolve – taking you on a journey to the Source. The radiating, nourishing sun within you – the pure energy that is always available, ready to give you anything you need to accomplish something or heal. Connect to the Truth within, unknot your mind, accept your feelings and the load will come off your shoulders- giving you the freedom to pursue your wildest dreams, giving you wings to fly in the sweetest currents of the present moment. Expect tingling sensations of Ki flowing in the temple space, ancient sounds of gong and bowls, as well as medicine songs. These sessions are deeply relaxing, you will be lying comfortably, nicely wrapped in a blanket, in a cosy lush loving atmosphere. Email: info@kissthesky.org.uk to book / payment via paypal needed to secure place. CONCESSIONS ARE AVAILABLE, please do ask. For more information contact 07894066582 or email. You will be lying down on yoga mats so please wear comfortable clothes and feel free to bring extra warm scarfs or blankets to ensure you are as snuggly as possible! Aya Zebrowska is an experienced and certified Creative Therapeutic Sound healer (ANSU School of Sound & Tribal Healing Arts) who you will find providing sound healing for a variety of dance events in Bristol aswell as the lush healing fields of Shambala and other UK festivals. Kimberly Rogers is a Reiki Master Teacher who in 2014 founded Kiss the Sky; dedicated to raising awareness of Reiki as an all natural approach to physical, mental and spiritual well-being. Kimberly teaches Reiki as a tool for self-healing empowerment, holding regular small group workshops at her home; and also offers energy transmissions, Reiki treatments and distant healing skype sessions to clients worldwide.